At midnight tonight, people who pre-ordered their copy of An omen EP_ from HTDA directly began receiving download codes via email. Amazon turned on orders for their MP3 version although their vinyl listing is still showing pre-orders rather than orders, it now also says the vinyl is a limited edition, so however you order the vinyl. And of course, there's always Itunes. I'm not sure that the iTunes and Amazon downloads come with the nice PDF that the direct download comes with, though. Note: If you were one of the early downloaders from Topspin, the artwork embedded in your downloads was kinda screwy. This was fixed by 2am, but since you jumped right on that download, do like I did and save this 658x658 copy from Pitchfork's announcement of the EP, and update your artwork with mp3tag. 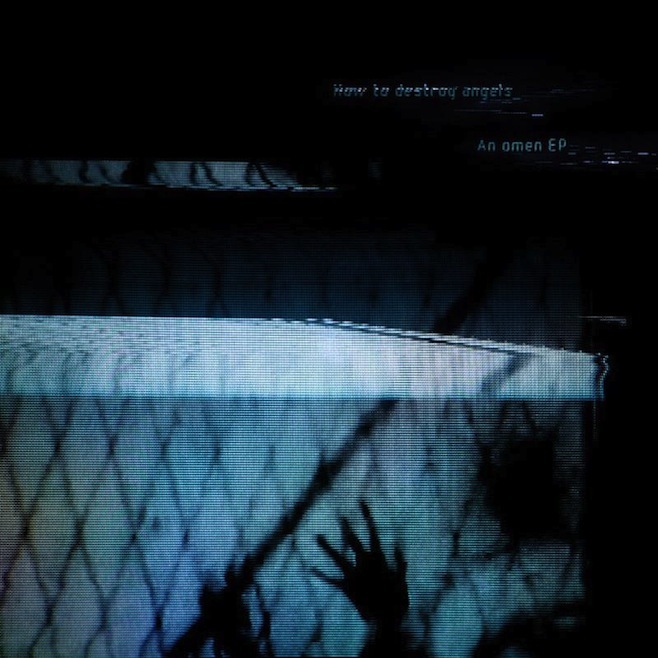 The EP is only available as a download or as vinyl. If you're not ready to join the 21st century yet, you're welcome to burn the lossless download available at store.destroyangels.com to a CD while you save up for a new head unit in your car, or a Zune, an iPod, or some variety of smartphone. 20th century object fetishists should find the vinyl to be a nice addition to their collection. What's that? You want more music? 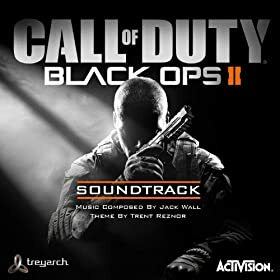 the soundtrack to Call of Duty: Black Ops 2 also dropped at midnight, and is bookended by two versions of the main theme, written by Trent Reznor. You can grab the whole soundtrack for $9, or just drop $2 for the two versions of the main theme. The 47 other tracks were composed by Jack Wall, who coincidentally worked as a 2nd engineer at Synchro Sound Studios on Newbury Street in Boston while Trent first recorded Head Like a Hole and Terrible Lie with Flood. Trent speaks NIN to Rolling Stone Mag. Reznor was asked about the likelihood of new NIN music. "All signs point to yes," he said. Pressed further, he added, "Yeah, there will be new music. There are some things in the works." Nothing new but thanks to Renny and Derek for the heads up. How To Destroy Angels posted a link in which you can stream the full EP An omen_ until the release on the 13th. Enjoy and then BUY! Sorry for being a little slow on the update - sweeterthan usually covers my back on these things, but she just had a baby (holy crap, congratulations!!) and I've been busy with other stuff. Without further ado - store.destroyangels.com opened up pre-orders for An omen_ - $5 for the digital download, and $20 for the vinyl copy (that's right, there's no CD version of this EP, welcome to the future, stop kicking and screaming). RE: higher shipping costs on the vinyl: Vinyl orders from us include a bonus limited white label promo remix 12” of Keep it together. If cancelling Amazon pre-orders made sound, you would have heard a very loud sound after that tweet. Just twenty minutes ago, though, another update from the HTDA collective states: "Heads up: We're almost sold out of our stock of vinyls. If you want to get one from us (w/the promo 12"), do it soon."